The AeroVee Turbo first flew on August 30th, installed in the factory prototype Waiex. 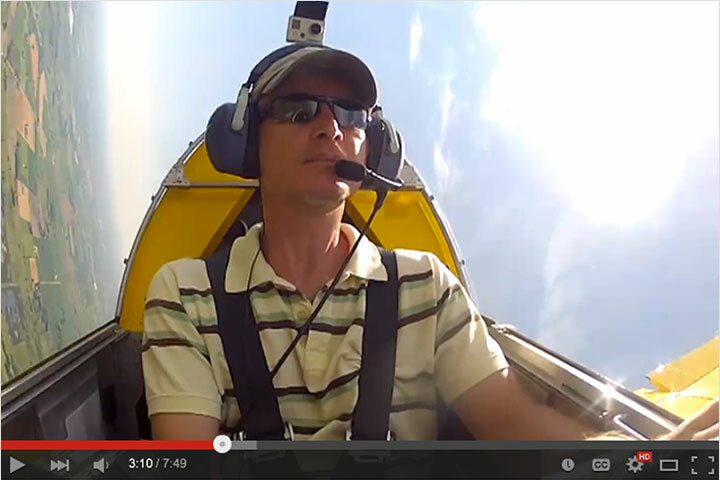 See the short video at right taken of the first flight, including a brief interview with pilot Drew Waterworth. 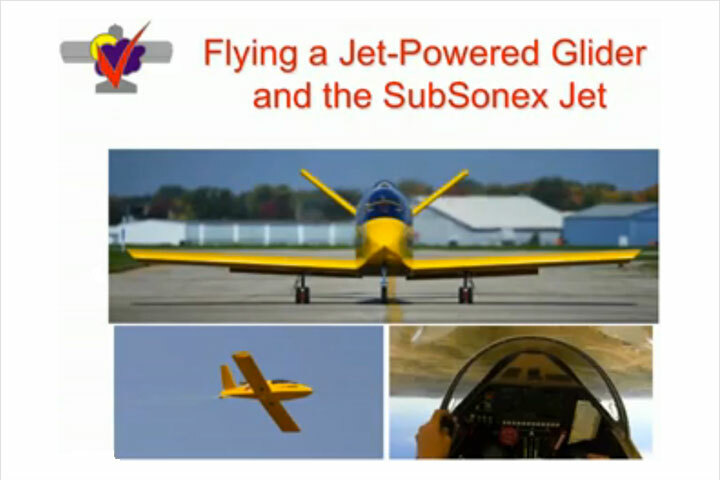 More information about the first flight and AeroVee Turbo project goals can be found in our September 3, 2010 update. 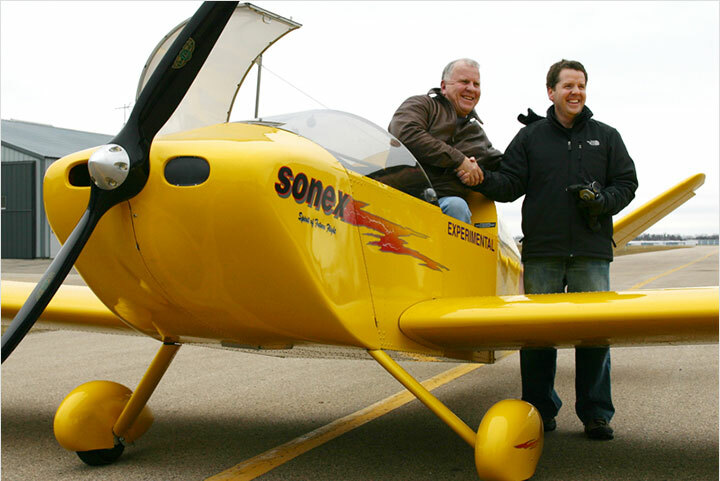 How does the addition of the turbo charged engine fall in with the Sonex philosophy of keeping it simple? It is simple…works on gravity with a minimum number of parts, uses an engine driven scavenge pump, no electrical hook up, no fuel pumps, it is the lightest possible installation for the power increase, and it uses a fixed-pitch propeller… Fits our philosophy! How will it impact take off and climb performance on those hot humid summer days and/or at higher density altitudes? 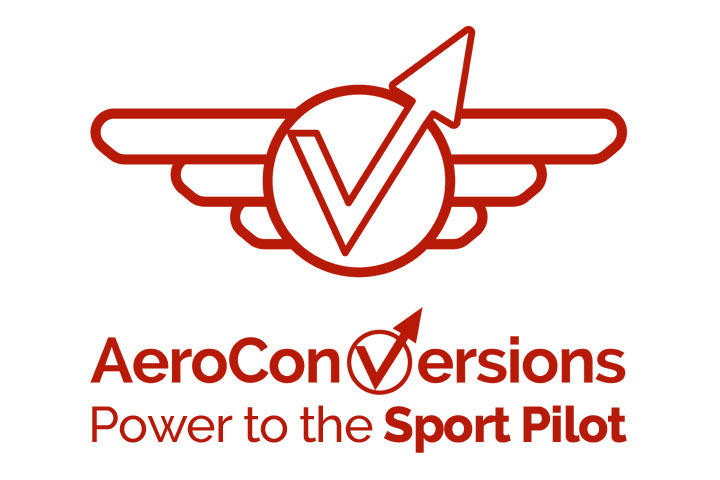 The AeroVee Turbo will offer a significant horsepower increase with a small weight penalty to shorten takeoff roll and increase climb rate. Do you expect it’s performance to drop drastically over ten thousand feet? No, and much less drop than a normally aspirated, non-turbo engine. How will the turbocharger impact fuel economy? More HP… More Fuel. Fuel consumption will be the same as for similar horsepower engines. With the AeroInjector, tuning can still be accomplished for optimized fuel economy. Depending upon the actual horsepower being produced, you can expect fuel burn to be somewhere between the normally-aspirated AeroVee and Jabiru 3300 data points on our published fuel economy graphs. How will the turbo impact AeroVee maintenance schedules? The turbocharger should make no difference given the conservative levels of boost being used. What is the expected increase in cost? Reasonable and very competitive for the performance. What additional instrumentation will be required to be added to the control panel? Either a Boost gauge or Manifold Pressure gauge. Why not use a constant-speed prop? Constant-speed props are prohibited for Sport Pilots. Additionally, constant speed propellers will be unnecessary with the relatively low levels of boost the system is designed to produce. Why not use higher levels of boost and get even more power out of the engine? The AeroVee Turbo system is designed to increase power while keeping weight, cost, and complexity to a minimum, and keeping the engine running at a level that will continue to ensure a high degree of reliability. 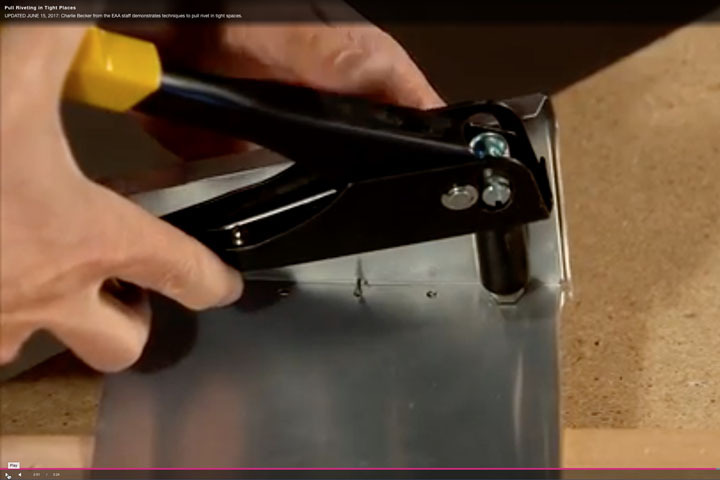 Can I expect a need for any major FWF modifications or re-arranging of components? Will both Std and Tri-Gear configurations be compatible with the turbo Installation? No need to re-arrange a thing. The final version of the turbo system made available for sale will be usable on both Standard and Tri-Gear Sonex Aircraft. 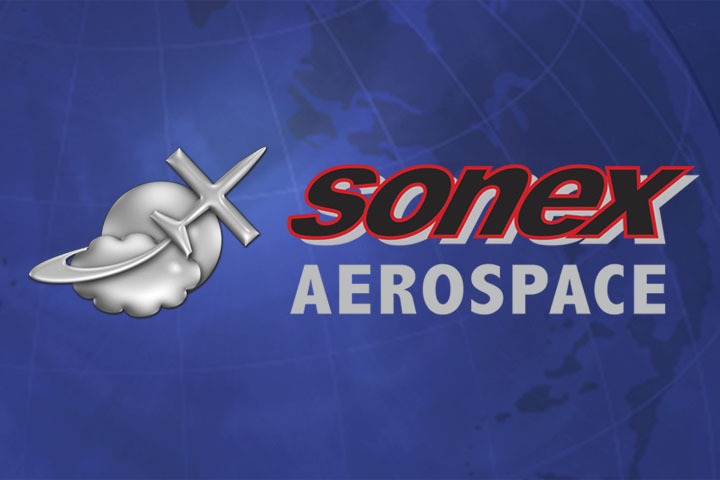 When Sonex is satisfied that thorough testing has occurred, and the system’s configuration has been finalized.